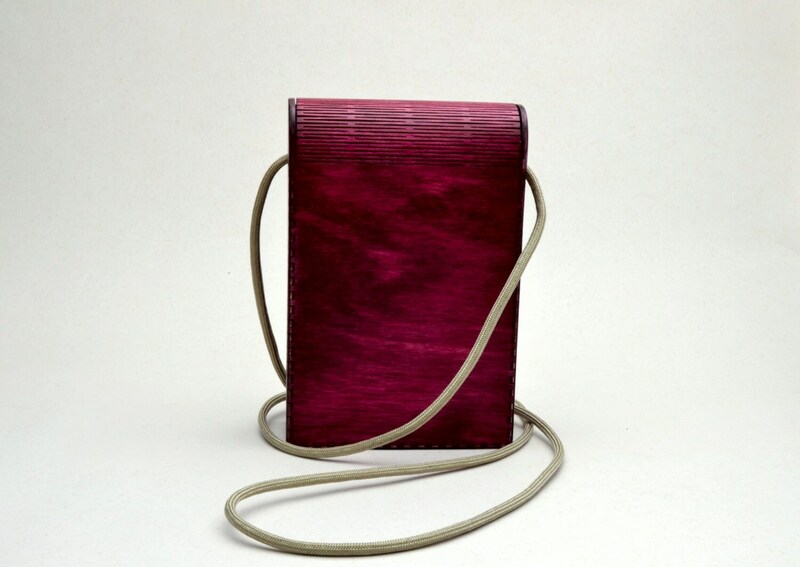 This fun and sassy little purse is made entirely from Baltic birch plywood dyed dark red. Although it is not intended for use in the rain it has several coats of polyurethane to protect it. Just the right size for a cell phone and small wallet when you hit the clubs. 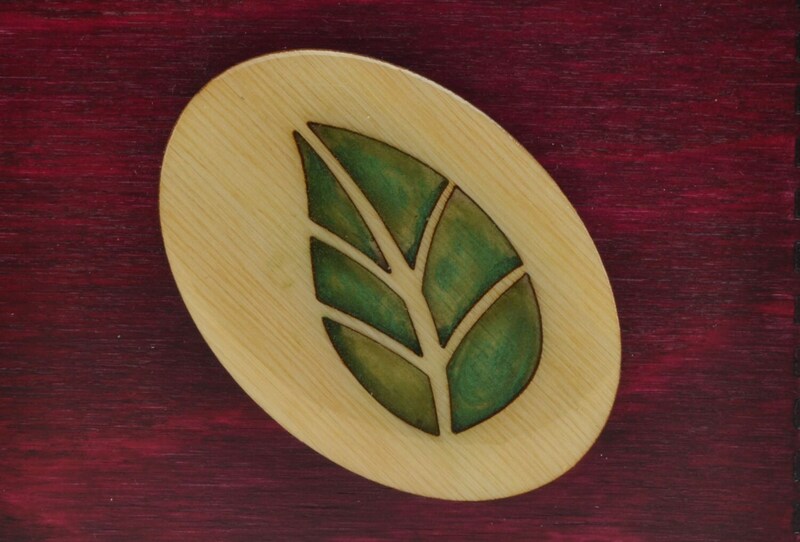 The durable elastic closure features a resin filled button with a green leaf design. The strap is made of sturdy beige paracord. Note color and wood grain may vary from photo; it has been described as beet red. 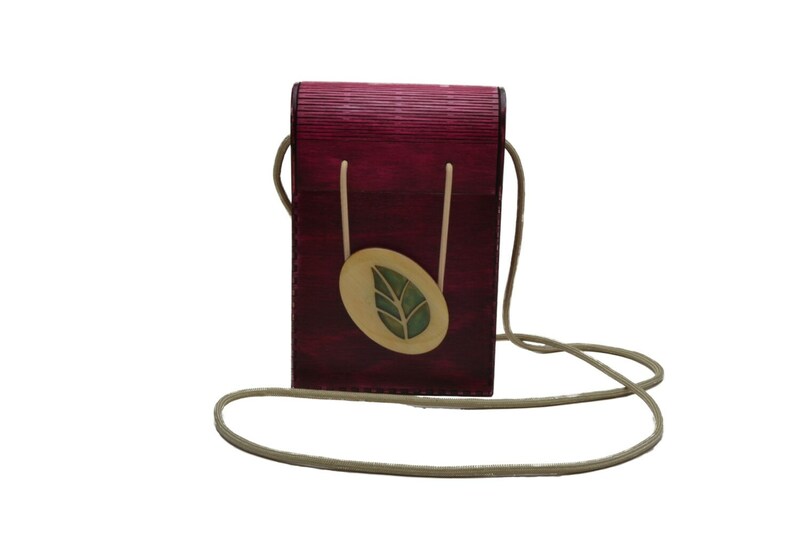 This purse was designed by Melissa and made in our Tacoma, WA studio. Melissa has tested this design for more then a year and it has shown itself to be very durable. The purse measures 6 1/8 in tall x 4 in wide x 1 7/8 in deep. (15.5 cm x 10.3 cm x 4.5 cm) It is not big enough to hold the largest iPhone, but most other smart phones fit nicely.